Recruiting professionals in the San Francisco Bay area certainly has its challenges. We’ve got some important pointers for finding the best talent for your company. The San Francisco bay area market is an extremely competitive market and one of the fastest growing in the country. There is a myriad of tech, marketing, media, retail and consumer companies and even more growing in the city. It’s a challenging market for a lot of folks given the high cost of living. This makes relocating candidates to the bay area extremely challenging. Folks moving from pretty much any market other than New York City are going to experience extreme sticker shock. 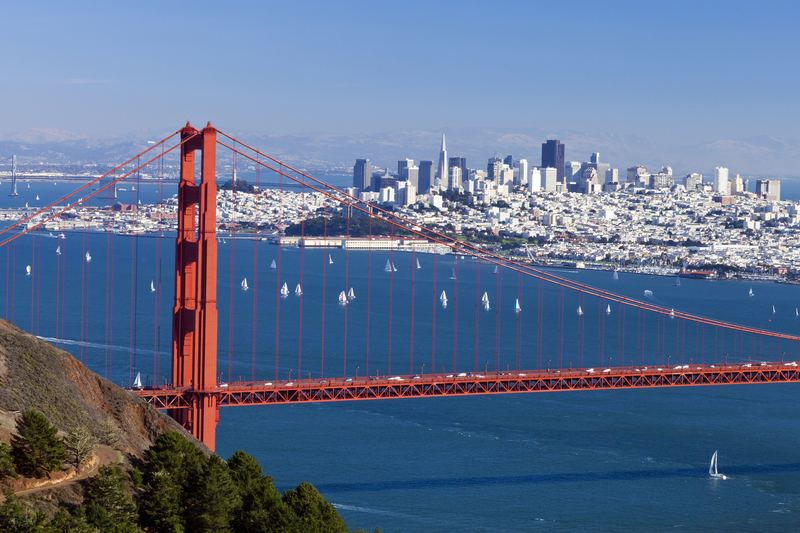 At Aldebaran Recruiting, we have experience finding the best talent and recruiting to San Francisco. Let’s share some of what we’ve learned along the way. If you’re going to relocate people into the San Francisco market, it’s important to offer competitive salaries. You need to have competitive relocation packages to make it tempting for good talent to move into a more expensive market. It’s also important for your company to have differentiators mapped out to sell yourself and your company to prospective talent. Without these differentiators you run the risk of falling into the mill of the hundreds and thousands of companies. You’ll need to set yourself apart from companies that may not be direct competitors, but may just be interesting to work for. San Francisco is also a challenging market from a location perspective. The bay area is a very large geographic area with folks living downtown, the south bay, San Jose, Oakland and other surrounding areas. Depending on where you’re located in relation to where people live, commute can be an extremely challenging factor. If you require people to be in the office every day it can severely limit the potential pool of candidates already living in the area. You may want to think about implementing flexible work schedules and potential telecommuting options. This will allow you to tap into people who are living further away from where you’re physically located. Flexible work schedules and telecommuting options can be extremely attractive to potential candidates. The other challenge you may run into are very junior candidates with expensive prices going over $175,000 a year. Technology continues to advance and people become increasingly technical. We will continue to see junior candidates with strong technical backgrounds demanding larger salaries. This is an extremely tricky situation to deal with from a bottom line perspective. It’s important to remember when considering salary and compensation that the bay area is filled with start up companies. It’s critical that you work into your compensation structure something like profit-sharing, equity or stock. Pretty much all candidates are going to be expecting these types of fringe benefits along with base salary. You’ll also set yourself apart from your competition by being open to telecommute and partial remote work. If your company isn’t going to offer these things, you will be severely impeding your ability to compete with similar companies. When hiring top marketing, sales, advertising, media and public relations talent in San Francisco there are hurdles you’ll need overcome. You need to be able to overcome, location, commute, high cost of living, competitive high and rising salary. One of the key things that you can do is be sure to have very clear differentiators about what your company does. Also have your company culture clear to be a place where people want to work. Be open to relocating candidates and be sure to put together a good relocation package. You want to be able to absorb some of that sticker shock to appeal to people coming to the area. Because it is one of the most difficult markets to recruit to, many turn to headhunting agencies in San Francisco to help recruit new candidates. At Aldebaran, we’ll make sure you have the best candidates possible for your sales or marketing openings. We’ll work with you to learn your business’ needs and fill them with the right talent. Learn more by visiting our contact page. "Aldebaran Associates brings an energy and focused-approach that is unique and refreshing. They build trust and integrity with their clients across all levels of the organization. Even while our organization was going through a difficult transition, she kept the employees motivated and focused on achieving maximum results."